Why buy new knives every few months? There is a much easier and cheaper solution, rather than buying cheap knives and wondering why they become blunt in a few weeks, buy expensive knives that you will actually enjoy using! These will stay sharp for much longer, and you can use them with a knife sharpener to keep them sharp for years to come. The majority of knife sharpeners are extremely similar, whether you pay $20 for one or $50, you’ll get near enough the same results. However, you should never go out and buy just any knife sharpener, although it is just a simple piece of kitchen equipment – you need to make sure that you get the most for your money, and that the knife sharpener will last a long time. Some knife sharpeners are designed for specific materials, and therefore they would be unsuitable for use with certain knives. You need to make sure that whichever knife sharpener you buy; it can cope with all of your knives. If you only plan to use the knife sharpener for one knife, or one material – then just make sure it can cope with that material, and you should be fine. 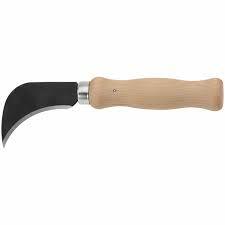 Also make sure that you look for the type of knife sharpener, as this will also effect the materials that can be used, and the performance you will receive. The main types will be listed below. The benefits of buying a knife sharpener are endless, cooking will soon become a breeze. No more dealing with blunt knives that are useless, simply sharpen them within a few seconds and you’re ready to go. Your knives will last a lifetime. Another key benefit is that you will save a lot of money in the long run, as you won’t need to replace your cooking knives as often. You can simply sharpen your knives every time you use them, and it will be like using a brand new knife every single time. How to choose the right Knife Sharpener for you? Sharpening stones are some of the most popular knife sharpeners available, they work by simply removing metallic material from the knife, creating a brand new, perfectly sharp edge for which you can cut with. They are merely a cuboid block of stone, around an inch thick. They can be simply placed on your worktop, and are rather heavy due to the fact it is a stone. They can also be used for a large variety of blades, not just knives – therefore they are fairly versatile. However, it is harder to use than other knife sharpeners, and can take a while to get the desired result at first. These are incredibly easy to use, and can quite easily be stored away in a kitchen drawer. It is simply a steel rod, however some are made from other materials too, and these work by honing the blade, and moving the material from the dull blade onto the end of the blade, creating a sharp blade – just like the day you bought the knife. Although they are easy to use, it does take quite a bit of technique to get a perfect result. Without a doubt, these are the easiest to use. You simply pull the knife through the sharpener, and this will give a beautiful sharp edge to the knife. This can also work for other knives, not just kitchen knives. 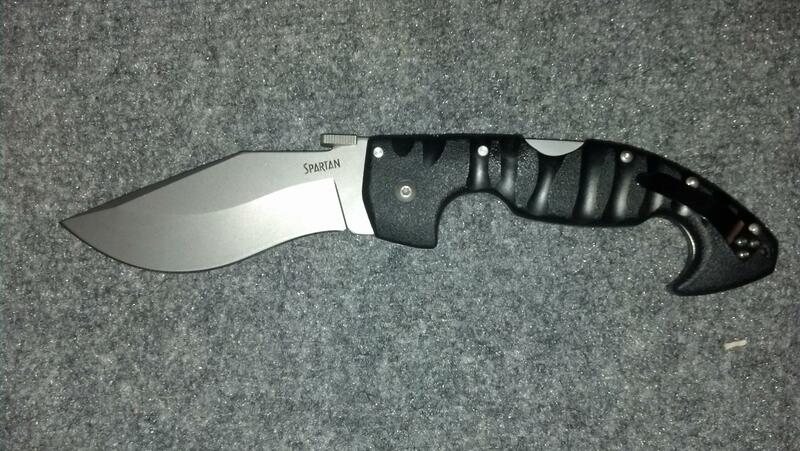 Whether it be a pocket knife, or a machete – this has got you covered. A manual knife sharpener is recommended for novices, due to the fact it is much easier to use than any other knife sharpener, and therefore easier to get the desired result, along with a much lower chance of damaging the knife further. Many people, especially professionals, swear by electric knife sharpeners. A wheel inside moves which grinds against the blade of the knife, transforming a dull, blunt knife into a shiny, sharp knife. This is one of the fastest methods, and is recommended if you will use it frequently, such as in a commercial environment due to the unbeatable efficiency of an electric knife sharpener. This is easy, you simply need to think about what you will use it for. If you will simply use it once a month, then the cheaper the better. Perhaps look into a sharpening steel, as this will be able to satisfy all of your needs. Although, if you require a heavier duty, faster solution – an electric knife sharpener would better suit your needs, however these aren’t available for under $25. Manual knife sharpeners can also be found fairly cheap, and these are amazing for all types of chefs, they can easily be used and you will get a perfect result every time, regardless of the type of knife that you use. This is one of our favourite knife sharpeners under $25, priced in at under $10 – you can be sure you’re receiving a bargain. 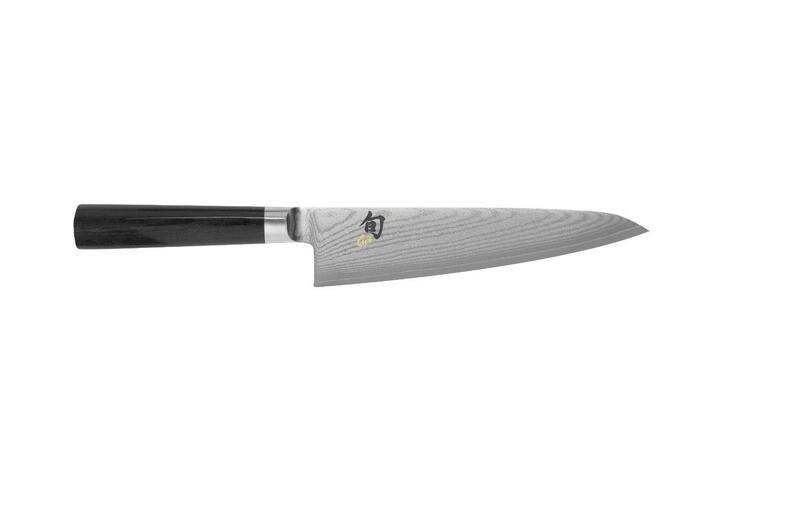 It features a gripped base, which keeps it firmly placed on the counter top as you sharpen your favourite knives. This is a manual knife sharpener, making it incredibly easy to use for novices and professionals alike, however it cannot sharpen serrated knife blades; so bear this in mind. It is available in a variety of colours, ensuring that you’ll receive a knife sharpener that will look perfect when prominently placed in your kitchen. However, it is also small enough to store away in a cupboard or kitchen drawer if you desired. This knife sharpener is practically two knife sharpeners in one, with a fine sharpener, and a coarse sharpener for your many different knives – meaning no matter what knives you own, this knife sharpener is perfect for you. If you want the perfect finish, simply swipe your knife through the coarse section a few times, and then another few times through the fine section – after this, your knife will practically be as good as new. Worth the Money: It’s under $10, and it will sharpen all of your knives for years to come! Small and Effective: Although this knife sharpener is extremely small, it provides plenty of knife sharpening performance for even the bluntest of knives. Cannot be used with serrated edged blades. Can’t be used for any other blades, such as scissors. If you’re looking for a cheap and cheerful solution to keep all of your kitchen knives sharp, then here is your solution. It’s cheap, and it does a really good job. Not to mention that it is extremely easy to use, even for somebody who has never used a knife sharpener before. While this may be considerably more expensive than our previous option, you receive a lot for your money! The mere fact it has over two thousand customer reviews on Amazon, with a score of 4.8/5 – it’s clear to see why it is so loved. To keep the knife sharpener stable during use, it securely fixes to the work surface using a suction cup, this ensures that the knife will be safely sharpened, and that it will be done precisely. Unstable knife sharpeners can cause injuries, and therefore it is important that any knife sharpener you decide to purchase is fully stable. This knife sharpener can also sharpen much more than just knives, use it for gardening shears, scissors or any blade you need sharpening – it can do it all. It can sharpen serrated knives as well, unlike our previous option. Why not try it with blender blades, or food processor blades? Priced under $20, it is worth its weight in gold. Just think about how much money you will save, now that you can sharpen all of your blades at home, rather than having to replace scissors and gardening equipment, not to mention your kitchen knives! If that isn’t enough, it is also extremely small! This means it can even be carried around with you, or to work! If you decide to use it for hunting knives, then it can effortlessly hold a place within your rucksack, and can easily be removed for sharpening your machete or hunting knife within a few seconds. There really is no better option! 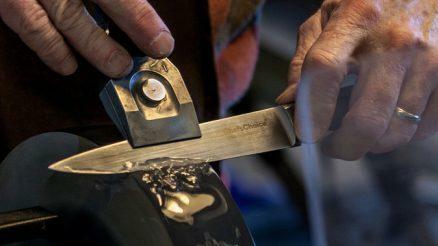 After your blade has been pulled through the sharpener around four times, it will be done – that’s it! It really is that easy. Reliable: The SunrisePro will never let you down! Easy to Use: Simply pull your desired knife through the sharpener around four times, and it will be as if it was brand new. Versatile: This sharpener can also be used for serrated blades, which comes in handy when hunting. Many knife sharpeners cannot do this, and therefore it is a unique selling point of this product. Serrated Knives: Some say it isn’t quite as good at serrated knives as advertised. Hilt Problems: The Sunrise Pro also has problems with any knife that has a hilt, and can also struggle sharpening near the handle as the sharpener is not indented to be able to cope with the handle. Quality knife sharpener, it has the ability to sharpen serrated knives as well, which is a nice feature, especially for hunters. This handy little knife sharpener will sharpen all of your knives, gardening tools, and kitchen cutlery with relative ease. The tungsten carbide blades inside the tool can easily sharpen even the toughest of blades! Whether it be a hunting knife, a machete, a pocket knife, or a simple kitchen knife – the Accusharp 001 Knife Sharpener has got you covered! The ergonomic design allows for it to be used by women, men and children alike, even in the toughest environments. You can effortlessly use this knife sharpener on your serrated hunting knife within seconds, you’ll be back up and running; ready for action. The tungsten carbide blade can easily be used for years and years, once it becomes slightly worn down, you can simply turn the blade around to get it back up and running. A blade typically lasts around around seven years, giving you plenty of sharp knives! This means that this product is really worth its money. Reliable: The tungsten carbide blade can last up to 10 years before needing to be changed! This saves you money, and time – ensuring that you’ll never be caught short on a hunting trip. Cheap: Under $10, you really cannot fault this knife sharpener for the price and versatility that it can offer to you, whether you are a hunter, or a chef. Easy to Use: Simply hold the sharpener over the knife blade, and pull it along the blade to get your knife back in perfect condition, whether it is a serrated blade or not. May not get your knives, razor sharp, as a good quality wetstone with a high grit would be able to. However, it is good when you’re out on a hunting trip and need to sharpen your blades quickly, and don’t have a wetstone available. Can be dangerous to use, due to having to hold the knife blade facing you and apply pressure to the knife sharpener, this can cause an accident for someone without good hand-eye coordination. Incredibly easy to use, regardless of what blade you need to sharpen. Also extremely cheap, and the blades last years! One of the cheapest options available, you simply can’t go wrong with a good sharpening steel. The reviews really don’t lie, with an average of 4.5/5 and over 400 reviews, it is easy to see why people love this product. 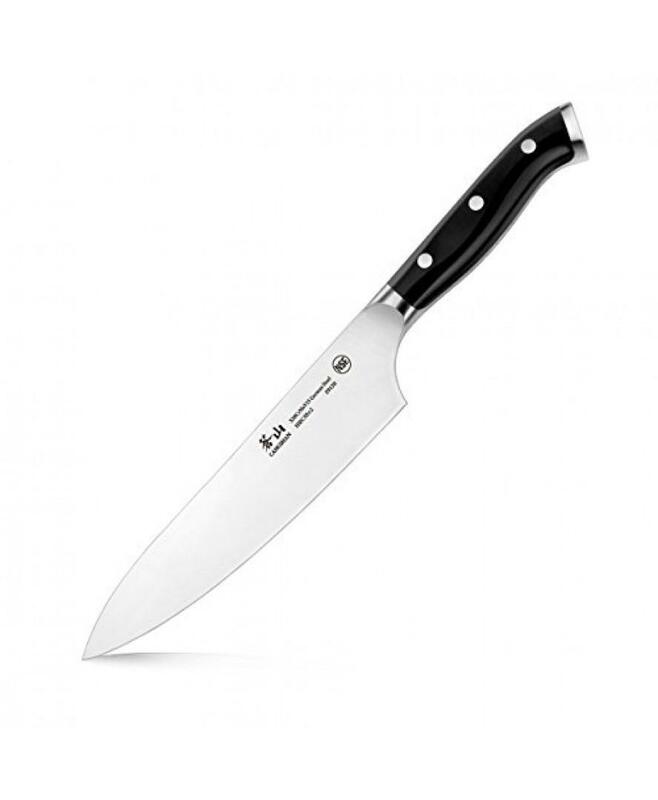 It can effortlessly sharpen all of your knives within a few strikes, simply scrape your knife along the side of the sharpening steel at speed with pressure, and you will get a lovely sharp finish to the blade. To use a sharpening steel, you need to simply stroke the blade against the sharpening steel from the hilt to the knife point, switching the sides every few strokes. If you do this correctly, you will be able to keep your knives, razor sharp for years to come. The handle of the Winware 12” Sharpening Steel measures 5” long, giving you 7” of the sharpening steel to use, which is more than plenty. However, if you require a bit more room to work with, they do offer a 14” version of this very product. You can sharpen serrated knives with this product too, however it can be a little tricky as it is hard to move the knife across the sharpening steel horizontally, in order to cover the whole blade. Nevertheless, with a bit of practise – it can be done. It can also fit into the typical rucksack, meaning you can take it on all of your hunting trips, however a manual knife sharpener is considerably smaller, and easier to use when outside. Easy to Use: Simply stroke the knife edge across the sharpening steel! Durability: Will last years and years due to the quality stainless steel construction. Versatility: Can be used for all types of blades! Serrated Knives: It can be extremely hard to find a good quality knife sharpener for serrated knives, although this knife sharpener can handle serrated knives, it is complicated to sharpen one correctly. Quality sharpening at a quality price, and is extremely easy to use! Brings your knives back to life in seconds. While this knife sharpener may be more towards the expensive end of the $25 budget, don’t let this put you off. It features three separate sharpeners, for different purposes. The first is specifically designed for ceramic blades, do not use this for any other types of blades! The second is designed to give a rough sharpening for the duller blades, and the third is designed to hone all your blades to give them that razor sharp blade you desire. It’s incredibly easy to use, and safe thanks to the easy grip handle which ensures that you are under no danger while sharpening your knives. 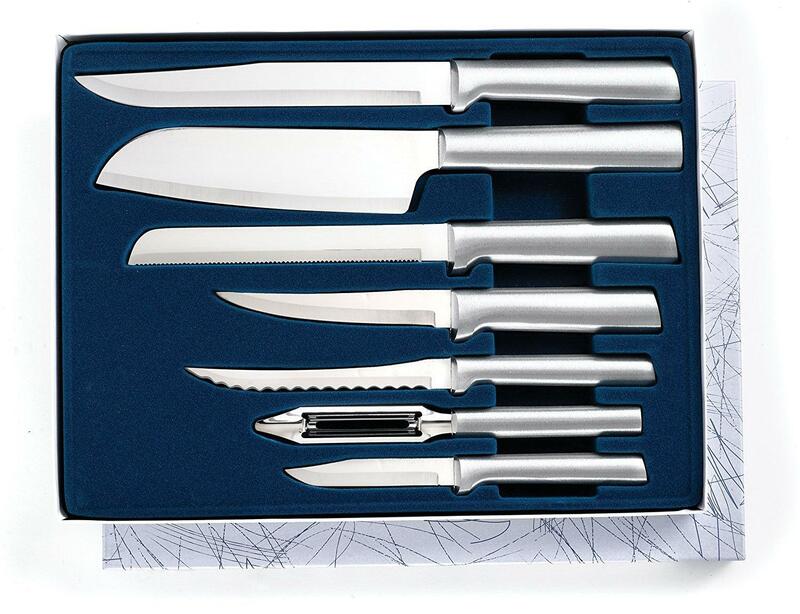 Simply pull each knife through the desired sharpener around four times, and you’ll be ready to go! Easy to Use: Simply pull the knife blade through the sharpener a few times, and it will be restored to its once former glory. Dedicated Sharpeners: No more damaging blades with the wrong sharpener! Versatile: Use for all of your knives, ceramic or not! Safety: Although this product is extremely safe, depending on how you hold it, you may need to keep an eye on your thumb; or you may accidentally slice it off! A great knife sharpener at a great price, if you own ceramic knives, then this is a must-buy. These are the best knife sharpeners under $25 that are currently available, each are good for different purposes. Therefore, it is imperative that you think about the types of knives it needs to be able to sharpen, and how sharp it needs to be able to get them before making a decision.